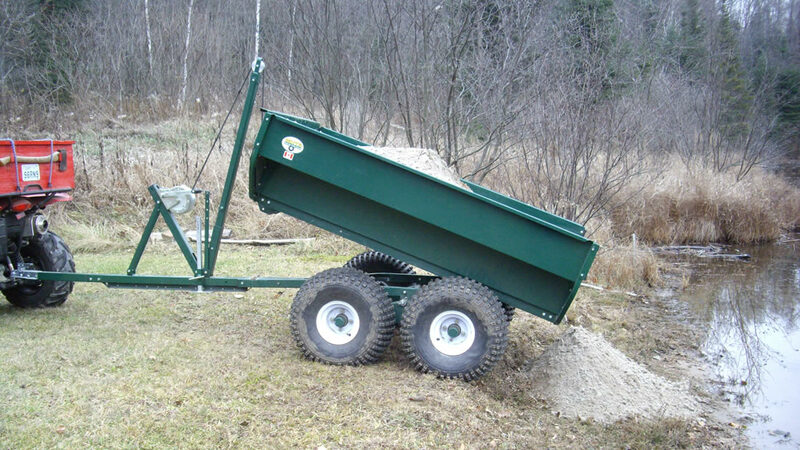 A MUTS trailer has a steep 40 degree dump angle which means the box empties completely when raised to its full height and moved forward. 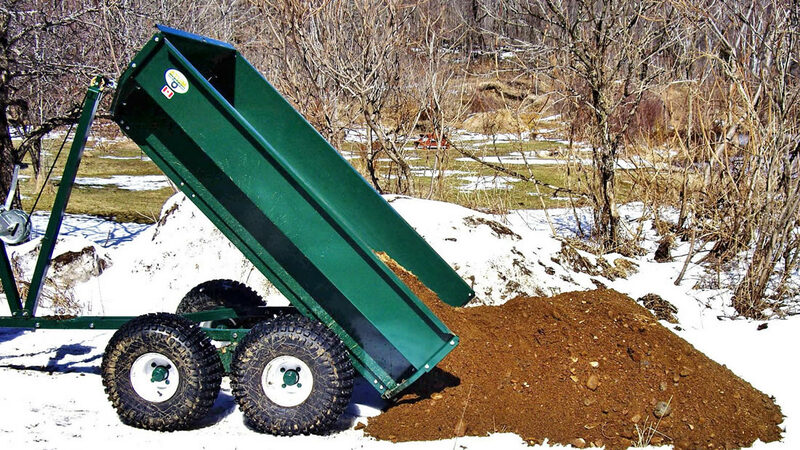 And a MUTS trailer can dump all of what it carries, up to 2,000 lbs. 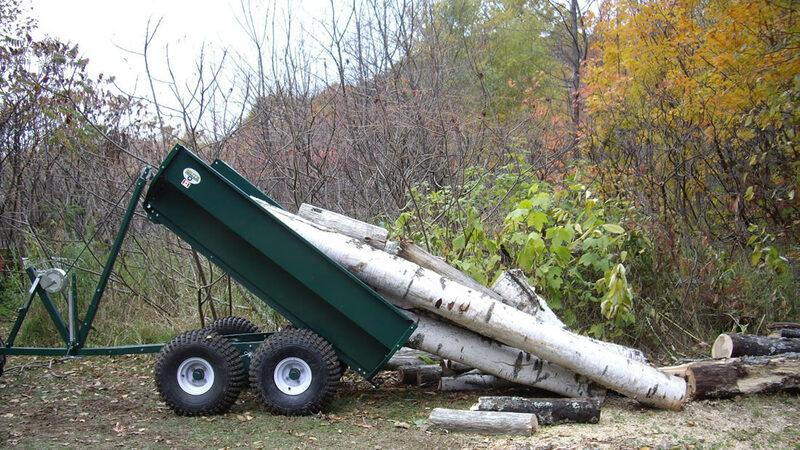 The box can be set to any angle to facilitate loading and unloading.